Syndicate Was a "Lost Battle From the Get-Go"
Rebooting Syndicate was a lost cause, according to Starbreeze CEO, Mikael Nermark. Starbreeze's FPS reboot of Bullfrog's classic RTT, Syndicate, was met with lukewarm reviews, shrugs from the general public and outright hostility from fans of the series. 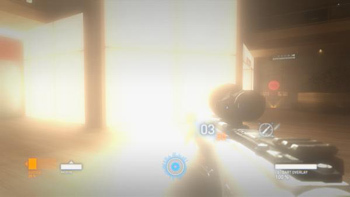 According to CEO, Mikael Nermark, the negative press was guaranteed the second the game took up the Syndicate name. "We knew from the get-go that there was going to be a small but very vocal [group] of gamers and journalists that was going to hate us whatever route we took," he told Edge. "If we didn't do an exact copy of the game, they'd hate us. If we did do an exact copy, they'd say we didn't innovate. They were never ours to win; it was a lost battle from the get-go." Nermark believes Starbreeze did a great job with the title, despite its underwhelming sales - apparently it barely broke 150,000 worldwide sales. "I'm proud of what the team did and what we made, and I'm especially proud of the co-op; I think that really shows what we wanted to do with the game, and Starbreeze's DNA." EA's Frank Gibeau recently described the title as "Something we took a risk on. It didn't work." "I don't have any response to what Frank said," said Nermark. "I think both EA and Starbreeze can look back at it and say that we could have done stuff differently. [But] if you ask anyone about any game in production they probably would say the same thing." Judging by the critical and popular response, Syndicate wasn't a terrible game. It was just a title hamstrung by an odd marketing decision to tie it into a series it barely resembled. Hopefully a similar fate doesn't befall 2K's oft-delayed XCom reboot.